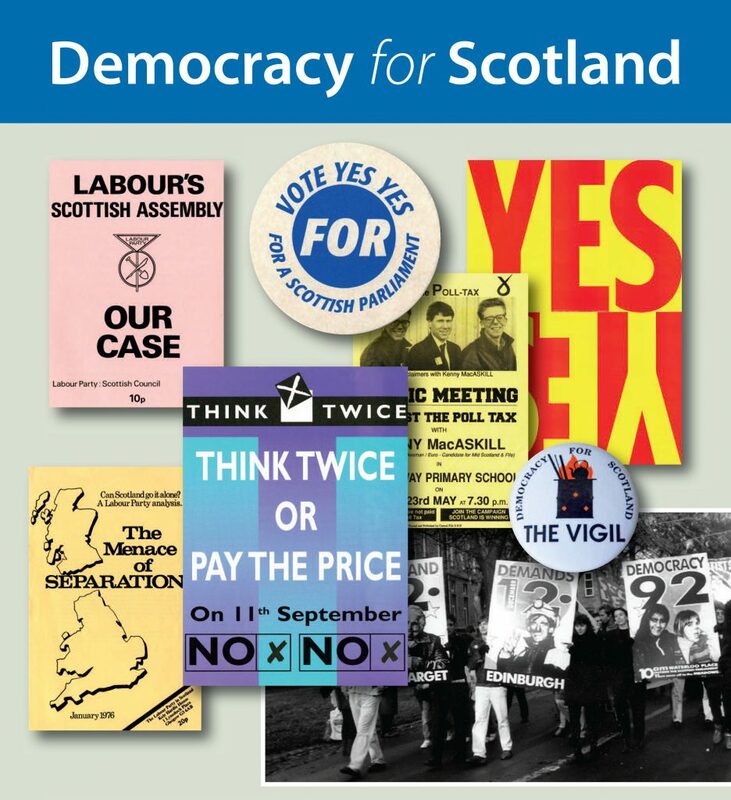 The archive comprises an extensive general collection of campaign literature, papers and ephemera as well as individual collections from Scottish Politicians and campaign groups. The Scots Independent Newspaper photograph collection: this collection contains photographs of prominent Nationalist figures and campaigns since the 1960s, as well as images of other Scottish politicians and cultural figures. These images are available though our Flickr site. The George Robertson Archive: George Robertson was Labour MP for Hamilton from 1978 to 1998. He was Secretary of State for Defence 1997-8 and then Secretary-General of NATO from 1999-2004. His collection contains material from all stages of his career. The Bruce Watson collection: Bruce Watson was SNP chairman from 1945-47. The Watson collection contains 200 separate items related to Scottish nationalism such as pamphlets, policy documents and election materials. A full listing of the archive is available. The SPA Photographic collection. This is an online collection of photos, leaflets, posters and campaign material made available through Flickr. The Dennis Canavan Collection: Dennis Canavan was Labour MP for Stirlingshire West then Falkirk West from 1974-2000, then MSP for Falkirk West from 1999-2007. The collection relates to his time as MP/MSP and his role in the campaign for a Scottish Parliament. Federation of Student Nationalists: This collection contains minutes, correspondence, leaflets and other associated material donated by the FSN. The Jack McConnell Collection. This archive contains material relating to all periods of Lord McConnell’s life. Sections of this collection are currently closed. Please contact us for further information. We have recently acquired the personal papers of Canon Kenyon Wright who was Chair of the Constitutional Convention. This collection is currently in cataloguing.